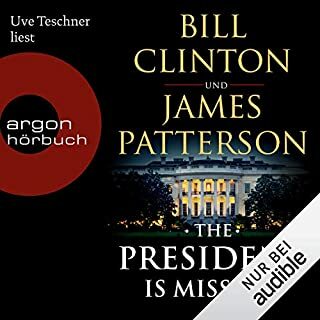 This book was read in German & there was no indication that this would not be the English version. Unable to get refund. 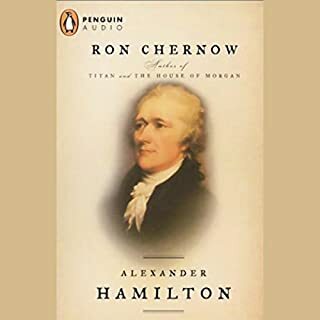 Ron Chernow, whom the New York Times called "as elegant an architect of monumental histories as we've seen in decades", now brings to startling life the man who was arguably the most important figure in American history, who never attained the presidency, but who had a far more lasting impact than many who did. This is an extraordinary book on revolutionary times about the most obscure of the founding fathers. Extremely well told, it reveals many of the complexities of early American history that were left out of books like "His Excellency", "John Adams", "Founding brothers". Hamilton comes out as a marvellously complex character and a true genius. The personal stories are as lively as any told - the characters are fascinating, life-like and complex, the political landscape more vivid than in any other history of that time. The expositions on the Federalists Papers, the founding of the Treasury, slavery and States Rights are illustrated with vivid accounts of warring rivals and tales of betrayal that are every bit as intense as the scenes surrounding the Terry Schiavo case, but less terrifying because at least those debates are behind us, even though it sometimes took a duel to the death. All so relevant to many of today's central political issues. In 1974, a revolutionary group calling itself the Dread Scott Brigade held up the old Shawmut Bank in Boston's Audubon Circle. Money was stolen. And a woman named Emily Gordon, a visitor in town cashing traveler's checks, was shot and killed. No one saw who shot her. Despite security camera photos and a letter from the group claiming responsibility, the perpetrators have remained at large for nearly three decades. 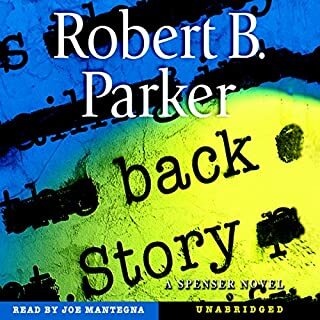 Now it's up to Spenser to solve her murder. This is an extremely poorly written detective novel with no character development, stereotyped characters and a plot that does not make sense.